Okay, so here’s something a bit different. The other night I stumbled across something buried amongst the oldest files on my external storage drive which made me feel like a kid again. Something I have been carefully copying from computer to computer for over a decade. 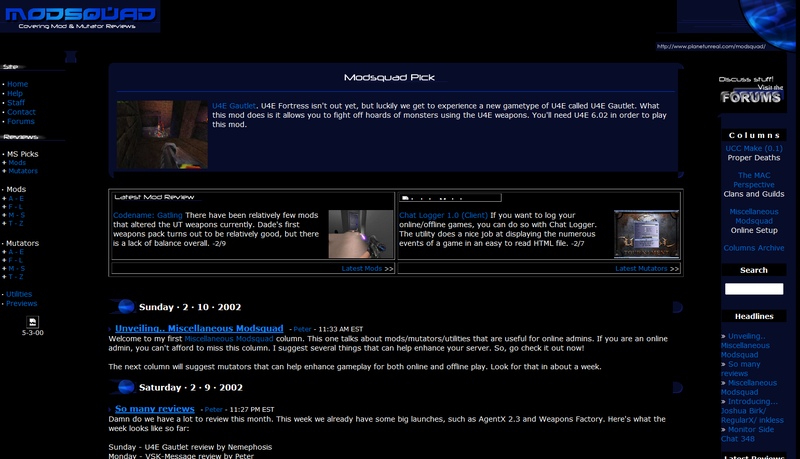 It was an archive of dozens and dozens of old Nerf Arena maps and Unreal Tournament mods, downloaded by myself, sometime circa 1999-2002. Tonight I’m gonna ramble on a bit about various game mods, and how they were probably some of the most fun and interesting things I played during my early gaming days. Originally I was just gonna write about the first Unreal Tournament, but thinking on it a little more yesterday I realised that I was just as deeply invested in the mod scene of Half-Life, and those of both games’ sequels, Unreal Tournament 2004 and Half-Life 2. I’ve tinkered with Jedi Knight II, Quake 3, Dawn of War, and plenty of other games too, most recently Skyrim, but I think the four games of those two series neatly bookend my experiences within what I’d call the golden age in the mid 00s. I have memories and experiences I’d like to recall and explore for all of them, and think I will probably do it in a post or two for each. Maybe one wandering around the scene itself, then another diving into my favourite parts of it. UT99’s what I’ve been playing this weekend, what inspired me to get writing this, and what’s mostly filling my head right now, so that’s where I’ll start. Or at least, somewhere fairly near there. I’ll get to showing off some of the crazy mods themselves eventually, but it’ll be a meandering path on the way there. I wanna start off just recalling how I even ended up on the scene in the first place.